Rainforest Cruises believes that a visit to the Amazon rainforest can have a life-changing effect on the visitor and so it was with great pleasure that we met a remarkable US lady last Wednesday 15th Aug, who was so touched by coming to Peru’s Amazon as a tourist in 2000 that she has now dedicated her life to improving the quality of life for the more marginalized inhabitants. She is Diana Bowie, a native of Florida, whose personal background includes a MBA degree and working in nursing and then hospital administration for 20 years. In addition, she has taught research at a US university. She has brought all these skills and experiences to bear in creating a healthcare NGO - registered both in the United States and in Peru - called DB Peru whose primary mission is to improve health in the Amazon villages along the Rio Napo. They started by delivering medicines and supplies here, and quickly expanded to education for the lay health workers and midwives. They now also do clinical work, both medical and dental, setting up in each village to treat patients. To improve communication for these isolated areas, they install radios and solar panels in select villages. Each year, they organize a health fair and invite 25 villages to participate in community and public health education, as well as a soccer tournament “Copa DB Peru”. Those 25 villages represent more than 4,000 people, with 60% being children. All of the work is accomplished by volunteers, including Diana and the officers and directors, none of whom take a salary. 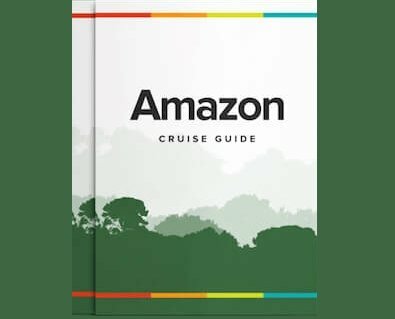 They make four jungle trips a year, traveling to the jungle city of Iquitos, then down the Amazon River in their speedboat to the lower Napo River. The villages they work with have a subsistence lifestyle, hunting, gathering and fishing. They have a history of working with medical and graduate students from many universities, as well as residents from the hospitals, both on a formal and informal basis, depending on the need of each person. There have been two internship students, one for five months from the University of Rochelle in France, and the other from John Hopkins in Bologna, Italy. Currently they are in the 5th year of working with the medical students from the University of Colorado on expanded public health education for the communities. In 2011, they started a Women's Project, offering screening for cervical and breast cancer for the women in the villages. They do pap smears and breast exams, as well as general education about normal and abnormal women's health problems. An obstetriz (nurse midwife) accompanies the project to provide birth control and process the Pap smear slides. This is a multi-year project. They work closely with the Minister of Health in Peru, as there is no private health care in the jungle. The local clinics assist them with their work, and in turn their work augments many of the existing programs, making sustainable, reinforced care for the people. In addition to the above work, they have several special projects, one of which is our scholarship program for young people from the jungle to study medical careers in Iquitos. We were suitably impressed with the objectives, methods and scope of Diana’s project, and were extremely flattered to be invited to participate in Advisory Board meetings. Like many non-profit organizations that rely on donations to exist, DB Peru has been hit by the Global Financial Crisis, and so Rainforest Cruises is hoping to be able to fill some of the gap in the future. Plus we are working on ways to work together in providing logistics to DB Peru’s volunteers – who don’t need to be medical professionals, incidentally, as there are plenty of non-specialist tasks to be fulfilled – and expanding its area of operations. Finally, one very simple, yet worthwhile assistance that Rainforest Cruises passengers can provide is to bring a few pairs of glasses (second-hand, or available new at dollar shops) and/or a bottle or two of standard, cheap vitamins when coming to the jungle, as they are hard to come by in the Peruvian Amazon and are a godsend. For details of how to get them to the appropriate people during your vacation, just ask us or DB Peru.